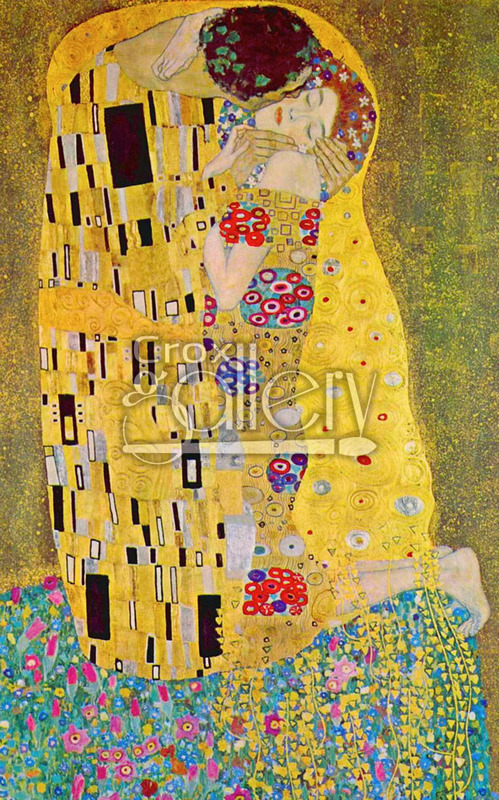 "The Kiss" by Klimt, Oil Painting Reproduction. 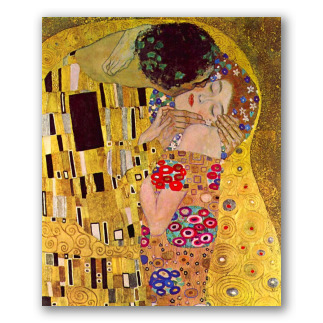 The Kiss is a famous painting by the Russian artist, Gustav Klimt. 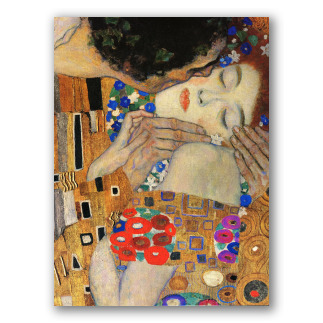 The delicacy of this painting represents the tenderness between lovers. 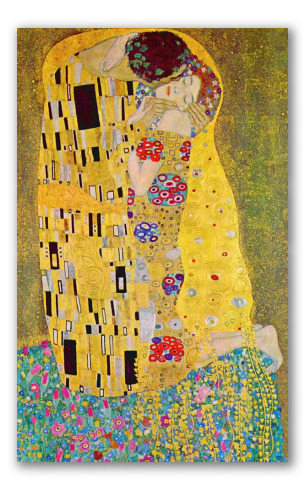 This painting is extremely famous because it symbolizes the influence of other people in our lives. This is the original image of the painting, without cropping.